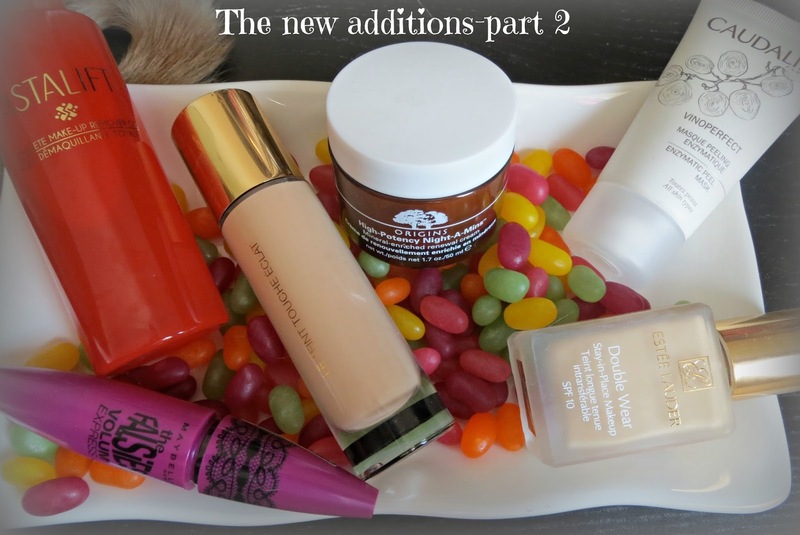 In my last new additions post I blogged about Mac Studio Sculpt but I just couldn't get on with the gel based formula. 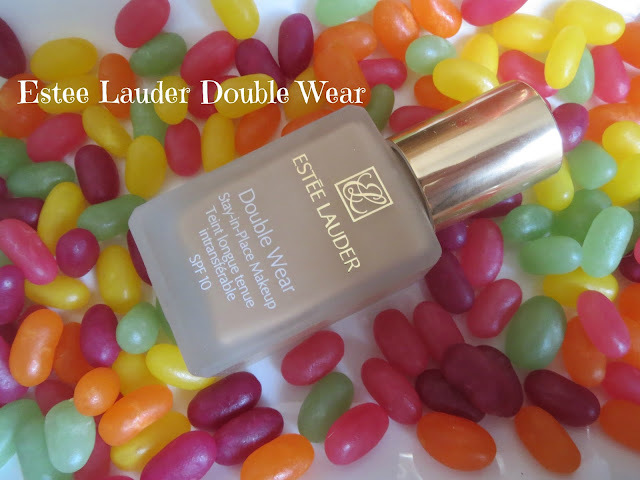 I have had the Estee Lauder Double Wear in my stash for a while so decided to try this and I am loving it so far! I prefer a heavier coverage and this sets to a powder finish and probably wouldn't be liked by those preferring a dewy finish. Having said that it isn't totally matte and I find I only need to touch it up with my Mac Blot powder once in the day. The colour is a great match for my pale skin (I am Bone) and I find that I get the best finish using a primer and then using my Real Techniques expert face brush to buff it into my skin. I find that for some reason the bristles on the brush don't seem to soak up this foundation so you don't need to use tons to get an even and decently covered base. I don't feel like it sits heavily on the skin either. Definitely a winner! I am not sure how it photographs as it does contain SPF but I'll let you know! The only downside? No pump on the glass bottle-although Vanessa from The Other VW did a great review of this very foundation the other day and I discovered that the Mac pumps will fit the bottle. I am really enjoying using this Caudalie face mask once a week but it is not at all what I expected! The texture is a smooth thick white cream-similar to a cold cream which you apply to your face for 10 minutes then rinse off. It feels lovely and soothing on the skin but because of the 'peeling' aspect of the name I expected it to contain grains or to set on the skin or to be a gel formula-it doesn't and it isn't. The mask contains AHA's like glycolic acid to give radiance and clarify and renew skin. I have stopped using all manual exfoliators now and use AHA's instead as chemical exfoliants. 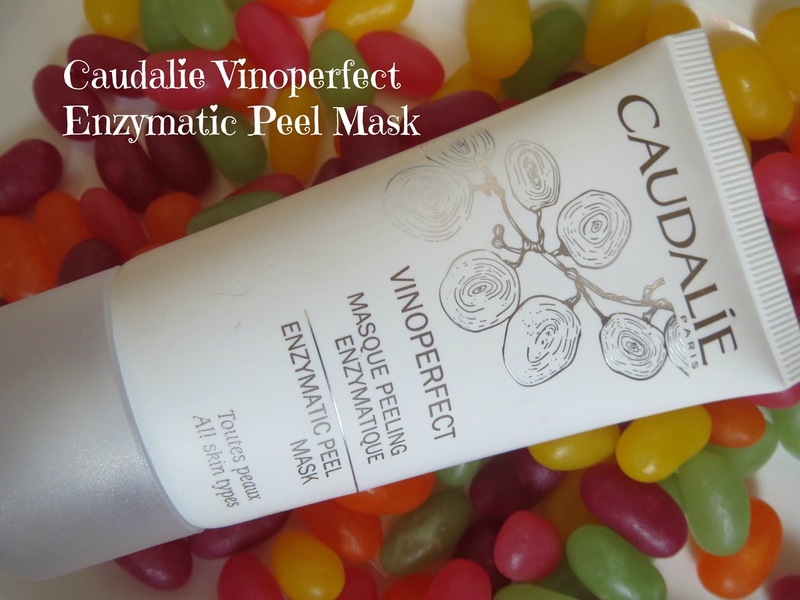 The mask also contains patented Viniferine, a natural compound from vine sap that brightens, lightens and evens. Viniferine is 62x more effective than Vitamin C I am reliably informed. It's a nice soothing treat but I wish it came in a larger size than 50ml. I've used it 3 times now and each time been left with baby soft and glowing skin. 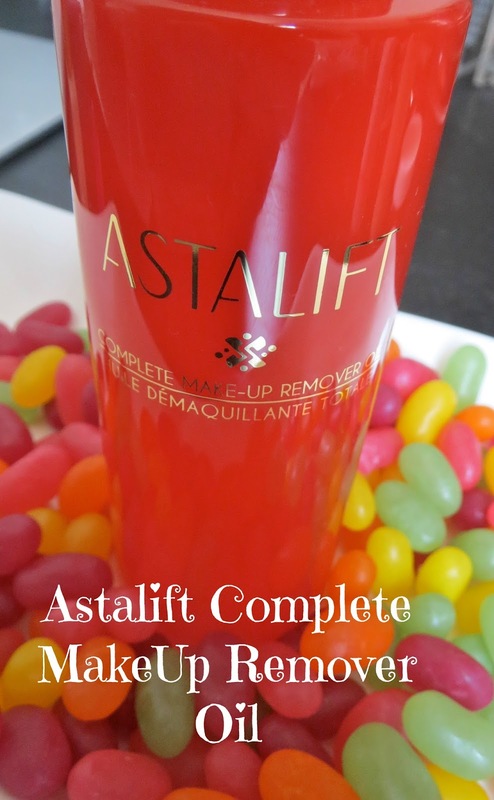 I haven't been able to find one review of the Astalift Complete Make Up Remover Oil on any blog so here is my mini one! This is the first thing I have tried from Japanese skincare brand Astalift and unfortunately I am a bit disappointed. I have been using a cleansing balm for months but when I finished my Elemis Pro Collagen balm recently I decided to try using this in it's place as my first cleanse to remove my make up. Given the name, you would think this would be perfect for that but it's actually quite ineffective. It's nice to use and is a red/orange coloured oil that I apply to dry skin, massage and then remove with a flannel. But it doesn't remove all your make up and a second cleanse is absolutely essential. It seems to basically break down your make up but it isn't effective enough to remove it all-and by 8pm in the evening I am certainly not sporting the full face I was at 8am. It's a new addition for now but I am not sure how long it will last as I fear it is breaking me out on my chin. This was a recent discovery for me which I blogged about here. Considering it was a purchase out of desperation I have actually fallen in love with it! It looks as good when I remove it as it does when I apply it but it is a heavy duty waterproof mascara and does require a heavy duty eye make up remover-I use and adore the Garnier 2 in 1 soothing eye make up remover. I think I love the brush most-it's just the perfect fit to my lashes. I am loving the Double Wear foundation but it's a bit too heavy for chilling out at the weekend in so I have opened this lovely foundation from YSL which has been sitting in my stash for a couple of months. 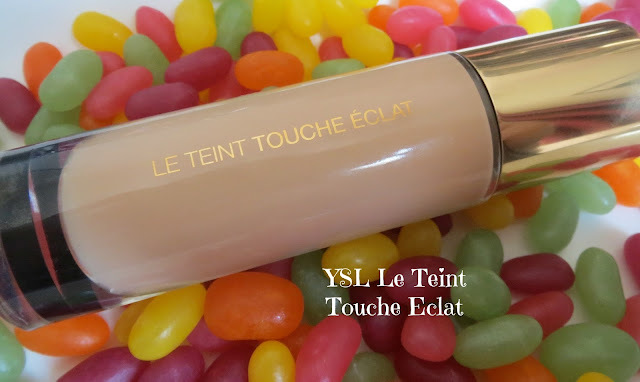 YSL launched Le Teint Touche Eclat as the foundation version of their cult 'touche eclat' concealer. It's a lightweight liquid foundation that can be used as a very sheer coverage or a heavier medium coverage. 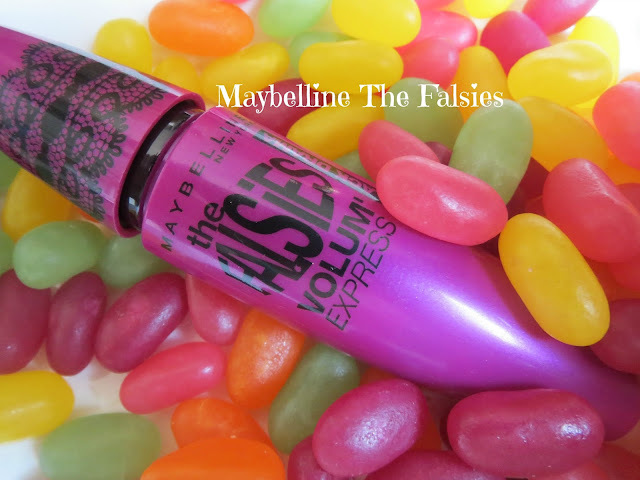 It had a dewy finish and the formula claims to be illuminating and to add radiance which I agree with. I need to powder it to set it but it's a really beautiful foundation-easy to blend and reasonably long lasting. It comes in a super luxe glass and gold bottle (which I am dreading one of my cats will knock it onto our stone floor) with a pump which seems to dispense just the right amount of foundation. It comes in 22 shades so there should be a colour for everyone. I'm NC 15 in Mac and BD20 in this foundation. Anything here you use and love?